Compromised websites can lead to compromised workstations. Whether it’s a malicious script or a media file, web security software can scan and block data before displaying it in a browser compromises a machine. Users frequently go to the Internet to download files, whether those are programs, music, or screensavers. Web security software can scan those downloads with multiple anti-malware engines to ensure maximum protection for your users. There’s a time and a place for most things; but many of those things are not appropriate at the workplace. Web security software can proactively block access to websites containing content that is not right for access during working hours, which helps users avoid policy violations or other situations that can impact others. Many times, HTTPS is used to get around filters and proxies because they cannot inspect encrypted traffic. With all the Certificate Authorities that have been compromised in the past few months, this could be a huge risk, but the best web security software can use PKI to scan even HTTPS traffic while still protecting the confidentiality of data. Web security software can also enforce bandwidth limits on users’ browsing, so that your ecommerce site, email system, etc., don’t suffer from slow performance due to Internet access. You can read a new story every week about a company that lost data, money, and customer confidence because an employ fell victim to a phishing attack. Web security software can stop these kinds of scams dead in their tracks by blocking access to phishing sites. The best web security software should use a combination of lists, categories, reputation, whitelists and blacklists to control Internet access, and easily allow admins to create exceptions when a site may be categorized one way, but is still necessary for a business purpose. With good web security software, administrators can allow their users safe and secure access to the Internet, while protecting them, the company’s data and reputation, and their customers from the worst the web has to offer. Web security software is the right way to take advantage of the best that Internet access has to offer, while avoiding the worst threats that are out there. 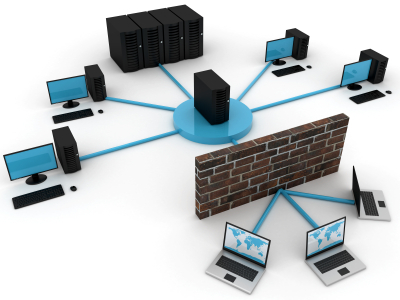 Web security software is one of the must-have applications every network admin needs. This guest post was provided by Casper Manes on behalf of GFI Software Ltd. GFI is a leading software developer that provides a single source for network administrators to address their network security, content security and messaging needs. Learn more on what to include in your web security strategy.